1. It’s what I am thinking about right now, and I write about what I am thinking about. 2. If you are an intelligent person, you probably want to know if your potential lawyer (or your adversary) is intelligent. This will give you a hint. 3.Maybe you will get an overview of history that will prompt you to read further, or maybe it will be the only history you read this month. 4. I am also writing for myself a summation of the impressions I retain from a lifetime of reading, and the last ten years or so, especially including The Teaching Company’s History of Ancient Egypt, a course on CD by Long Island University Professor Bob Briar http://www.liu.edu/CWPost/Academics/Research/Scholars/Bob-Brier . I commend it highly. On my “reading to do list” are histories of China, India, Japan, and Korea. I will start with “A History of East Asia” by Charles Holcomb which I just downloaded to my Kindle. And, as I drove to work today, I heard of a new biography of Ben Franklin by Jonathan Lyons, “The Society For Useful Things”, the premise of which is the author’s view of how Franklin led the movement to bring the Age of Enlightenment to American. It is that “Age” that launched mankind into the modern world. 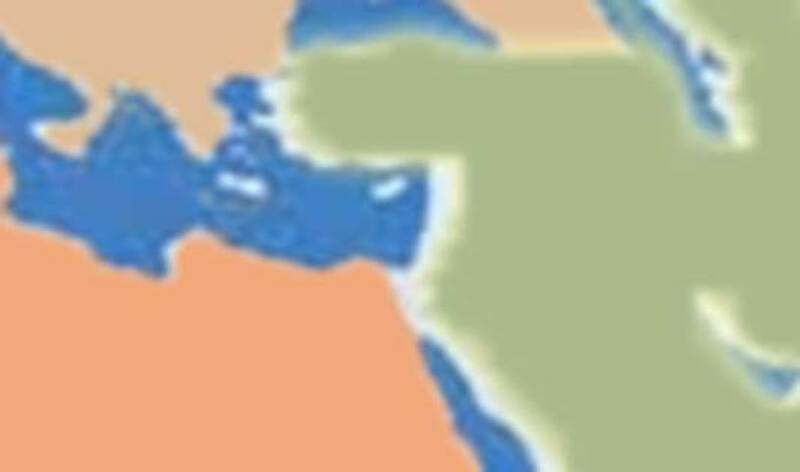 My focus here is the middle of the Eurasian land mass, Egypt, Greece, Italy (Roman Empire), Greater Europe, and Byzantium. Why are they important, and why is so much of conflict of the world focused on this interface of the continents of Europe, Asia, and Africa? Interface? Perhaps part of the answer is in the question. 1. Hominids diverged from the great apes and evolved in Southern Africa over 6 plus millions of years and migrated north through what is now the Middle East to Europe and Asia. How, why, and which species evolved? Start reading something by Richard Leakey, or Donald Johanson’s, and Blake Edgar’s “From Lucy to Language”, Simon and Schuster, and others. It is a complex and fascinating story. 2. If you have decent retention, you will have an idea of how mankind changed since we split from the great apes, and how we got where we are now. 3. For 1.5 million years or so, there was one tool, a hand axe. Someone, an early Leonardo DaVinci, figured out that if you broke of a piece from flint, or chert, it creates a very sharp edge. Chert is a fine-grained silica-rich microcrystalline, cryptocrystalline or microfibrous sedimentary rock. Later, I figure, they also realized that it helps to have one that was pointed, leading to all sorts of things in a very slow blink of the eye. 4. Near Egypt, to the West, and elsewhere, there developed smaller knives, drills, scrapers, projectile points, and atl atl’s (sticks with a groove, to lengthen the arm and fling the projectile farther than man can do with his arm alone); slings, and bows and arrows. We were on our way toward nuclear weapons and iPads. Professor Brier gives a good summary of how things developed for the 700,000 years before the Egyptian upper and lower kingdoms united. 5. As for the Geography; just look at this: Start on the large map bel0w, at just above Spain and travel due East 8000 miles or so. Land, land, land, wide and deep. According to Author Jared Diamond, having so much land at the same latitudes meant that many more diverse species, and germs, and organisms, can develop than on continents like North and South America and Australia. 6. Then check out the Americas, tall, tall, tall and narrow, and barriers to communication such as water, deserts, swamps, and mountains. Also, with changes in latitude effecting the climate, species have less opportunity to diversify. 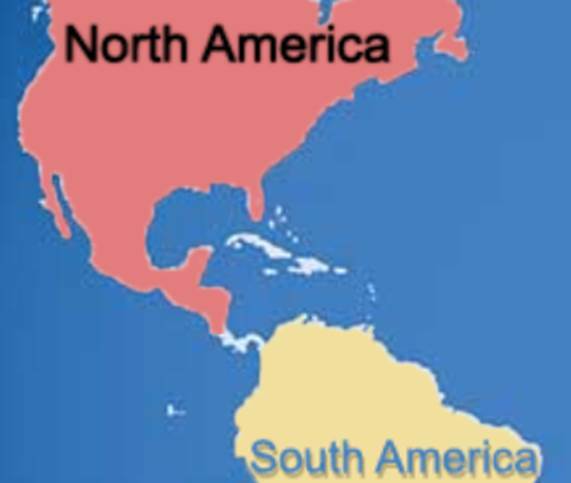 And be sure to notice that the west coast of Europe and Africa match up nicely with the East Coast of America and remember that once they were part of one huge continent called Gondwanaland. It’s another piece of a gigantic puzzle. Many species can be tracked back to the time the continents separated. 7. From the Gulf of Mexico to the “S” in South America, the landmass is very narrow. But East-West in Eurasia, lots of landmass with similar climates; so, the variety of species, animal and plants, was much greater, and the number of plants and animals that were domesticated was much larger. 8. As animals were domesticated, living with man, their germs and deseases easily spread. With so much space at one latitude, diversity existed, and with so much animal/man contact, disease spread, and immunities developed. 9. Thus developed the ability of European explorers and settlers to wipe out Native Americans with their germs. But let’s get back to the area in question. 10. Australia is pretty big, and there are all those Islands to the East and north, but Australia is mostly desert, again with narrow bands of habitable land. Its separation from the other continents led to the evolution of different species into nooks occupied by other creatures in the other continents. Mankind arrived their relatively late, homo sapiens, sapiens, modern man. 11. So, what an amazing stew existed in the lands surrounding the Mediterranean Sea 10,000 years ago. 12. Food producing plants and grasses were gathered, concentrated, and eventually planted and harvested. Agriculture developed, and the leaders of the Upper Nile (to the South! 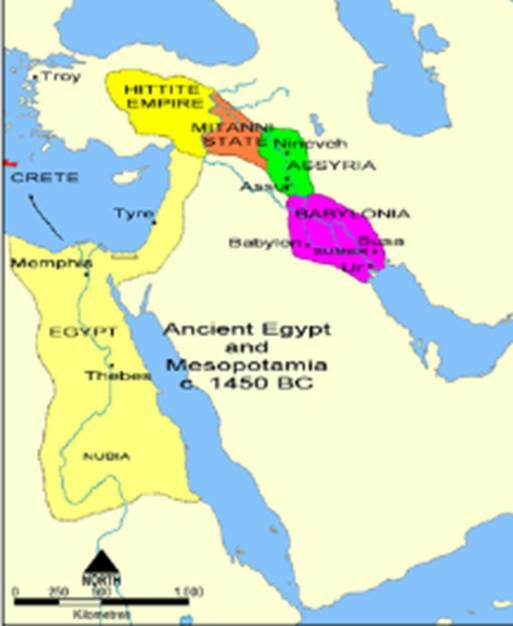 ), and the Lower Nile (to the North) (Remember, the Nile runs from South to North), distinguished by the shape (tall and short) and color (white and red) of their headdresses, somehow united. There was a tremendous burst of civilization, creativity, myth-making, writing, and technical advance. 13. Mankind knew so little, that some with imagination, and, I suspect, a desire to lead and control, claimed special knowledge and insights. Some stumbled onto hallucinogens. Others fasted and followed paths such as asceticism. They saw visions, had dreams, and began what appears to be a universal trait of mankind, to find answers, even without evidence to support them. Jean Auel writes wonderful reconstructions of our world @ 40,000 years ago in The Clan of The Cave Bear series. Her protagonist Ayla invents nearly everything, including modern medicine. I think her description of the ancient wizard or medicine man, or shaman, rings true. Reference “The Shamans of Prehistory” by Jean Clottes and David Lewis-Williams, Harry N. Abrams, Inc.
14. And, myth and invention co-existed with fact. (Strangely, in many places, including much of America, it still does.) A priest who could predict the likely return of the flooding of the Nile, or frost, or a migrating food source, would be mighty valuable, regardless of what he believed caused it. And the ability to predict the time and place of the return of a comet, or eclipse seemed magical. 15. From the beginning, was the tug and pull of the religious and the secular(political). 16. Priests had special knowledge, such as anticipated dates of the recurrent flooding. The world was a scary place, storms, extreme cold, heat, and drought, earthquakes, volcanoes, and, of course, floods. The legend of the great flood predates, by a thousand years, the story of Noah, notwithstanding the claims of Old Testament, and the worst movie of all time, Noah. 17. But, perhaps first between the “alpha males” of the extended family, then the tribe, regional groups, countries, and alliances, political power and organization allowed groups to compete and succeed. 18. Back to Egypt, in a relatively short time, during “The Old Kingdom”, the shape of the pyramids was perfected. Then the great age of pyramid building ended, but not the construction of tombs, coffins, temples, obelisks, and statues. Egypt survived because it refused to change, and the flooding of the Nile was so predictable, and the neighbors were so “conquerable” for ages and ages. Pharaohs did well when they were young and vigorous enough to go into battle themselves in order to vanquish their enemies. Egypt tended to falter when their Pharaoh survived to old age, or failed to have a competent male heir. 19. Professor Briar does a brilliant job of tying it all together, showing the flow, the stability, subtle change, and details such as mummies, diseases, myths, animals, hieroglyphics, and foods. Ancient Egypt finally ends with Cleopatra, and the death of her children. Then there was the development of the stage, and Greek tragedies and comedies, of which I know very little. The key was that an environment existed to foster thinking and philosophizing, among a relative few, just thousands, much as occurred later during The Reformation, Renaissance, and Age of Enlightenment, The Industrial Age, and The amazing Age of Information, later on. Greece predated Rome in its conquests, the Spartans and Athenians, the battles against Persian, the Peloponnesian War, Alexander the Great, and the powerful and persistent influence called Hellenism into which the Christian religion merged. The New Testament’s St. Paul was a Hellenist. As I understand the Greek philosophers, and this I think as key, they perceived the world is essentially perfect, with ideal forms for what was the natural order of things. This jibed with Christian doctrine of the time. That perception would not change for nearly 2000 years. The successor of Greece was Rome. Predated by a mysterious people called The Etruscans, Rome lasted around 1000 years, less than one third of ancient Egypt. The Roman Republic became the Roman Empire, and it’s conquests, laws, civilization, and power spread throughout all areas surrounding the Mediterranean Sea. The Punic wars, with Carthage (Hannibal and his elephants, etc. ), finally ended with Rome in control of a huge portion of the civilized world. Contrary to Egypt, which marched out year after year, conquered, stole, and returned with booty and tribute, The Roman Empire conquered set up its towns, forts, baths, temples, and stadia in the conquered territories, and set up its occupants as Roman citizens. 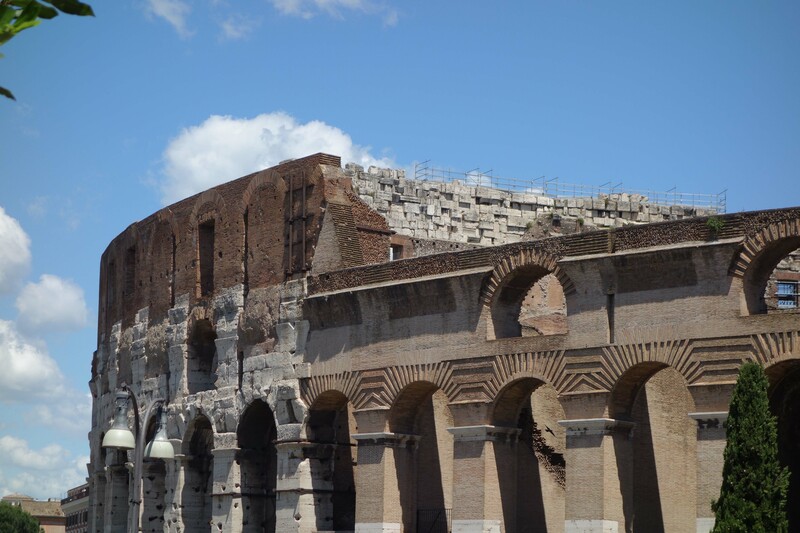 Barbarians and foreigners developed the traits of Rome. They became Roman. Persistently and recurrently, aggressive peoples north of Italy, the Barbarians, attempted to defeat Italy. In the 400’s, the final Roman emperor, Romulus Augustulus, passed from the scene. The center of Christianity moved to Constantinople, site of modern Istanbul in Turkey. The great administrator Justinian gathered the laws throughout the realm and created a uniform system of law. The struggle between Rome and Constantinople, Byzantium, especially as the center of Christendom, continued for 1100 years. Efforts to revive Rome continued intermittently, but “the Dark Ages” persisted for another 1000 years or so. The few learned persons, Christian monks, etc., looked back in wonder at the age and learning of Greece, Aristotle, and Plato. Venice was an island state that evolved as the inhabitants of Northern Italy periodically fled to outer islands for safety from the barbarians. (Another 1000 pages!) Finally, they got tired of being dislodged, so with some amazing building techniques, they constructed buildings and ships and stayed on their island empire permanently. Venice turned to Byzantium and away from Rome. It still has cultural influences from the North and the West. The Pope and Roman Catholic Church were so corrupt that Luther, with the help of German Barons and France’s Frances I, commenced The Reformation, a revolution against the corruption of the Catholic Church. Thanks to a gift from my wife Nancy, I have some idea of the conflict between Christianity and Islam. (“Defenders of the Faith – Christianity and Islam Battle for the Soul of Europe”, by James Reston, Jr., Penguin Books). Charles V’s great enemy in the mid-1500’s is Suleyman the Magnificent. There were a number of epic battles and close calls, sieges, taking of forts, and sea battles, which ended with Islam not conquering Europe. It is hard to imagine it otherwise, but it was a pretty close call. Lucky the Moslems were not the administrators the Romans were. Then there burst forth the most brilliant burst of intellectual and scientific energy in the history of the w0rld. It is called “The Age of Enlightenment”. I have mentioned it in other writing, and a client of mine did a very good book report mention in my post below. The story of the British Royalty Society is the story of that era. Descartes, Newton, Spinoza, Leibniz, Locke, Galileo, Brahe somehow breaking out of the darkness, and virtually inventing the scientific method. Sir Isaac Newton, perhaps the most powerful mind of all time, also wrote a detailed, but useless analysis of the scriptures, and was a master alchemist. Galileo remained an avowed believer in God, as Darwin later claimed, even as they were disproving “him”. Here is my client’s report which I published with his permission in Amazon. com, “The Clockwork Universe: Isaac Newton, the British Royal Society, and the Birth of the Modern World”, by Edward Dolnick. http://wp.me/p4utce-3E. Much of my recent reading is referenced in this blog post, “A Small Town Lawyer’s Reading List”, http://wp.me/p4utce-40; These are some of the books I have read in the last several years to lead me to conclusions I will cover in Part 2. Lest we get too caught up with ourselves, I suggest you spend a couple minutes to view the perspective that Carl Sagan had on our “small blue dot”: https://www.youtube.com/watch?v=p86BPM1GV8M .